Good morning! 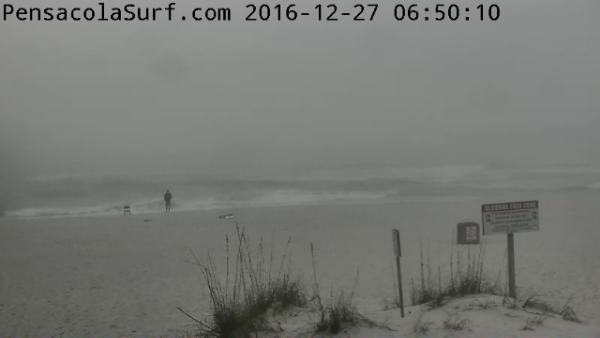 It’s a foggy morning out here on Pensacola Beach. 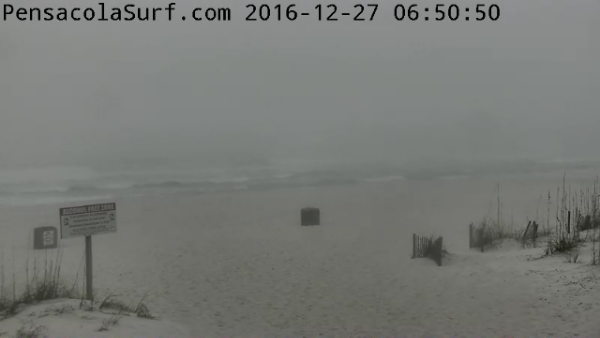 The surf is up! It’s running waist to rib high with maybe bigger sets coming through. The winds are coming out of the ENE and are currently calm. They should come back up and make the surf a little bigger. Low tide will be at 7:33 am and high tide will be at 9:14 pm. We should have surf all day!